Food : Most fascinating street vendor for me was the strawberry and chilli stall. Not a must try but definitely gave me a giggle. There were also a lot of nuts at the street bazaar such as cashew nuts, almonds, ground nuts so make sure to splurge on this. Bargaining is a must. 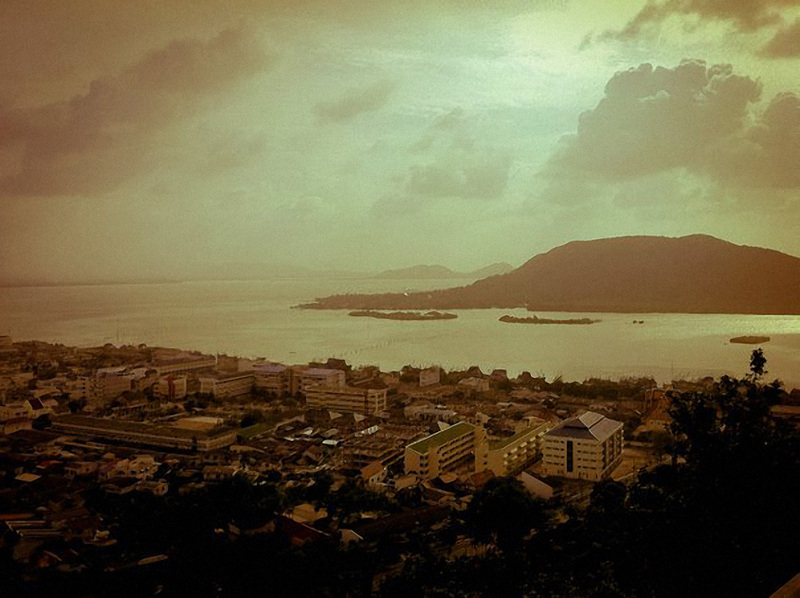 Favourite : The view on top of the hill and Songkhla area. Least Favourite : There were a lot of visitors from my hometown Kedah. It makes travelling feel less like… travelling. What to Wear : Walking shoes as there is only Tuks Tuks around. Plus you will have to walk a lot at the Municipal Park, especially going uphill. Language : Hilarious English translation signages. Make use of the humour in your travel photos.